Whether you’re looking for an affordable and unique children’s birthday party locale or you’ve got your eye on a more grown-up experience, we have just what you need to have an amazing time! All parties require a non-refundable $50 deposit. 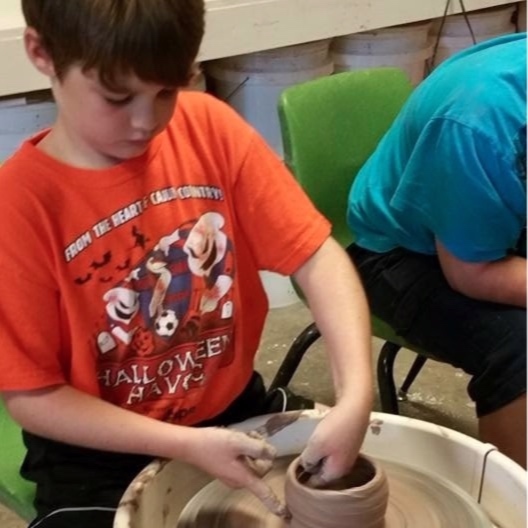 For more information on our parties, please email angie@potteryalley.com for a complete list of what we have available. Ready to party? RSVP to our studio. Our children’s parties are perfect for letting your little mud-bugs take their creativity out on the clay. Hand-building parties can accommodate up to 15 children, while smaller groups of 6 or fewer kids can take the wheel for a spin. Has it been too long since you’ve seen your favorite friends? Catch up on what’s been happening or relive fond memories while making new ones as you make art as unique and special as your friendships. Whether you’re hosting a night out, planning a bridal or baby shower, or surprise someone special with a unique birthday party, Pottery Alley is the place to be! Bring drinks and snacks, queue up your favorite music to play on our stereo system, and get your creativity in gear. You create the artwork and choose the glazes and we’ll take care of the rest.